Ever since Indian advertising discovered the magic of long format storytelling, the digital audiences have been treated to a plethora of heart warming stories. The 30-second TVC gave way to longer versions for the socially connected consumers, and what we got were 2 to 7 minute long video stories that helped build the brand image one story at a time. While 2014 was the defining year for long format ad films, this year has also begun on a new journey in the space of long format Indian ad films. See also: “The 9 Must Watch Long Format Indian Ad Films Of 2014”. ‘Daddy aur Zooey’ is Tata AIA’s attempt at telling an endearing story of a father and his son Zooey. Here the daddy is not the conventional superhero – he is pushed around in queues or gets entangled in blankets – but makes up for it nevertheless, and is quite adorable as is his son. The 4-minute ad film conceptualized by JWT tells the story of their unique relationship, while stressing on how we live for the good of our dear ones, in line with the insurance brand’s recent rebranding around ‘Making good happen’. Read full campaign coverage here. For tea company, Wagh Bakri Tea, its strong taste was the center of all brand communication until recently. The brand was looking to soften its image to focus on the beauty of relationships with the tea acting as a catalyst. A 4-minute film was conceptualised by Scarecrow Communications called ‘Rishton ki Garmahat’ or the ‘warmth in relationships’ featuring a husband and wife rekindling their relationship over a cup of tea. Read full campaign coverage here. Hair care brand, Dabur Vatika made many heads turn with the launch of its latest ad film titled ‘Brave and Beautiful’. The ad campaign paid a tribute to woman cancer survivors by featuring the story of a young mother reclaiming her regular life post cancer. A 4-minute film was conceptualised by Linen Lintas and produced by Film Farm, where the protagonist is a bald woman who has survived cancer and is now back to regular life at home and her workplace. Read full campaign coverage here. Birla Sun Life Insurance (BSLI), the life insurance arm of Aditya Birla Financial Services Group rolled out a moving story of a single father’s grit and determination in raising his autistic son. Conceptualised by Taproot India, the 3.5 minute film titled ‘Khud ko kar buland’shows afather going through one life trial after another but always managing to take care of his son’s dreams as well as his own. The film ends with a rather poignant message of protecting your loved ones as well as your dreams, given the unpredictability of life. Read full campaign coverage here. Paper Boat launched its first multimedia campaign in sync with its brand philosophy of ‘Drinks and Memories’. The idea of the campaign was to take viewers on a trip down the memory lane and into their childhood. The 3.35 minute ad film created by Karishma Lintas, documents the tiny sagas of growing up, that all starts with a little paper boat floating down the river of memories. The touching poetry rendition by Gulzar and the background score of Malgudi Days greatly helps the storytelling. When online travel agency, MakeMyTrip introduced ‘uncancel’ – a first-of-its-kind feature that allows users to make the same trip they had cancelled, at a later point of time within the same initial budget, it took help of a long format ad film to promote it. The 3.45 minute ad film created by FCB Ulka tells the story of a young boy who is about to meet his dad for the first time and how a cancelled ticket does not foil his plans. Read full campaign coverage here. Online classifieds site, OLX began shifting focus on the real value of its platform based on user insights gained over the last four years. The new campaign, ‘‘Keemat Bhi, Kuch Keemti Bhi’ was driven by the deeper benefits experienced by the buyers and sellers on the platform. As part of the campaign, the brand launched a 4-minute film portraying a beautiful transaction of a cricket bat from one passionate cricket player to another promising cricket player. Read full campaign coverage here. HDFC Life chose to depict the beautiful relationship of a father and daughter, with an inspiring twist. The life insurance brand’s latest campaign #MyFamilyMyPride focused on family pride and how important it is for a father to instil a spirit of independence into his children. Conceptualised by Leo Burnett, the 3-minute film features a heart warming story of a father and his beloved daughter who dreams of being a dancer. The father here isn’t pampering his daughter with everything the world has to offer, but makes her stand on her feet, literally. Read full campaign coverage here. 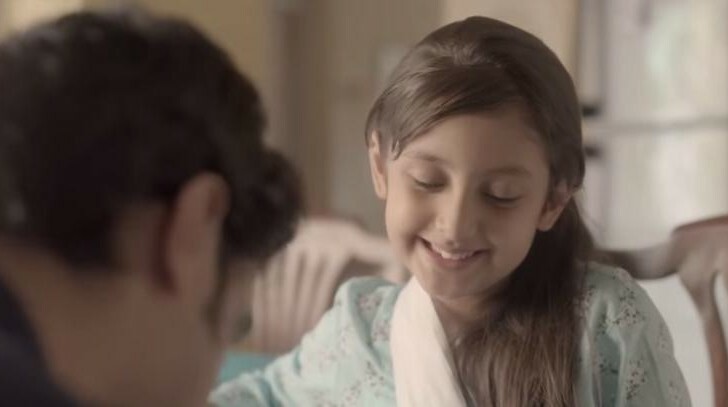 Horlicks, the hot beverage brand that’s been nourishing women and children, chose to thank all mothers on Women’s Day with a heartwarming long version digital film. It rolled out a 2.25 minute film titled #LoveYouMaa that captures the unspoken love, care and sacrifices that a mother makes for her children. During the ICC World Cup, Gillette chose to celebrate Indian cricket fans by dedicating a video for them. Created by Grey India, the 4-minute film captures the journey of a unique Indian cricket fan right from the advent of one day cricket till date, taking viewers through the transition of cricket – from traditional white clothing and red balls to the day and night format characterized with coloured clothing, floodlights and white balls. Read full campaign coverage here. Geeta Phogat, the first Indian woman to win a Gold for wrestling at the Commonwealth Games in 2010, became the central driver of the JSW ‘Will of Steel’ campaign. The 1.5 minute long commercial conceptualised by Ogilvy & Mather depicts the regressive forces against which she had to fight, to win her place in history. The unforgettable rock music background score accompanied by the stinging commentary by a male voice representing patriarchy, make for a memorable watch. Read full campaign coverage here. Max Life Insurance chose to take a realistic approach in its latest campaign titled ‘Second Chance’. It brings forth true stories of people who have had a close encounter with death and how the experience jolts them into realization to not take their lives for granted. In a series of three films, the viewer is taken through the experience of getting a second chance at life. With Ogilvy & Mather as creative agency and Flying Cursor as the digital, the brand sought to sensitize consumers with the help of real stories, while laying emphasis on the importance of life insurance. Read full campaign coverage here. Taking ahead the brand philosophy of Alive Is Awesome that was set up three years ago, Godrej Cinthol launched a new integrated campaign called ‘Alive is Offline’ where the idea was to connect to the young, live-for-the moment India that is always glued to one screen or another. The campaign has a 1.5 minute film conceptualized and executed by Creativeland Asia that demonstrates how the world is more beautiful than the World Wide Web. It depicts the journey of a man adventuring through wild terrain, keeping away from his smartphone, the Internet and social media. Read full campaign coverage here. A little tough to get at first watch, this Valentine’s day video by Hero Pleasure will slowly sink in and get to you. The scooter for girls by one of India’s biggest bike manufacturer, Hero MotoCorp is urging viewers to not give in to peer pressure and #BeFree. At 3.5 minutes, the storytelling takes full liberty to take you through a complete work day in the life of the protagonist, while delivering the brand message in style.